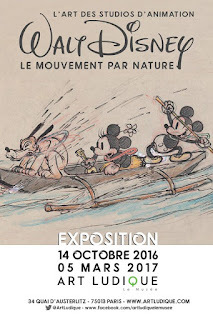 Collector Robert Sommers informed me recently that he is trying to sell a collection of drawings by artist Bernard Garbutt, who taught for a while at the Disney Studio. 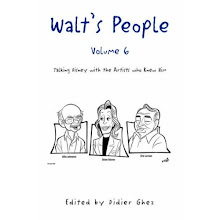 I just received the cover drawings by John Musker for the next volume of Walt's People (Volume 18). 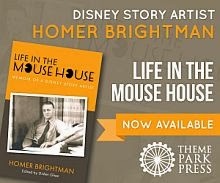 The book will be released in July. 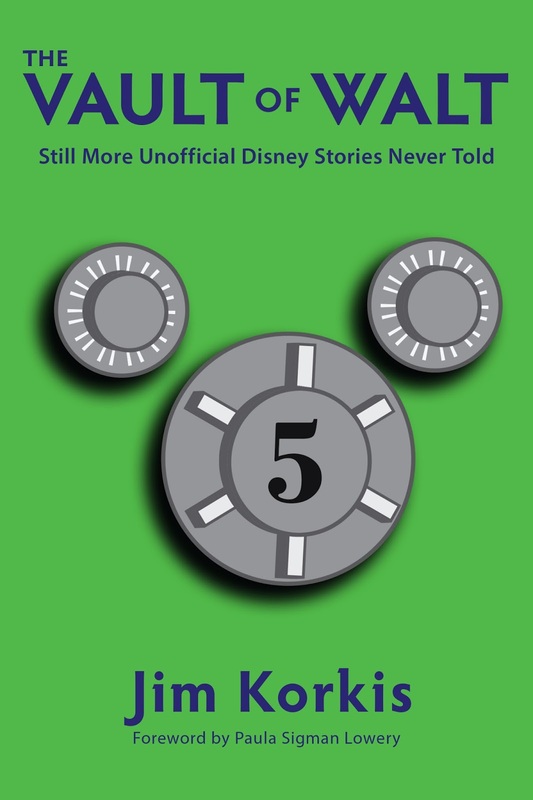 - Disney's often-maligned "package films"
Discover these and many other new tales of Disney history, as only Jim Korkis can tell them, in The Vault of Walt: Volume 5. Arielle soon found herself in possession of a "bug box" and told to educate guests about conservation and how they could help save the world — whether they wanted to hear it or not. 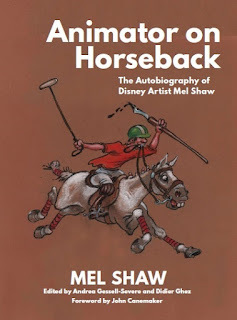 After the bug boxes, she moved to Wilderness Explorer Stations (then known as Kids Clubs) and "animal positions", including one that featured the seldom cooperative Marley the Crocodile. 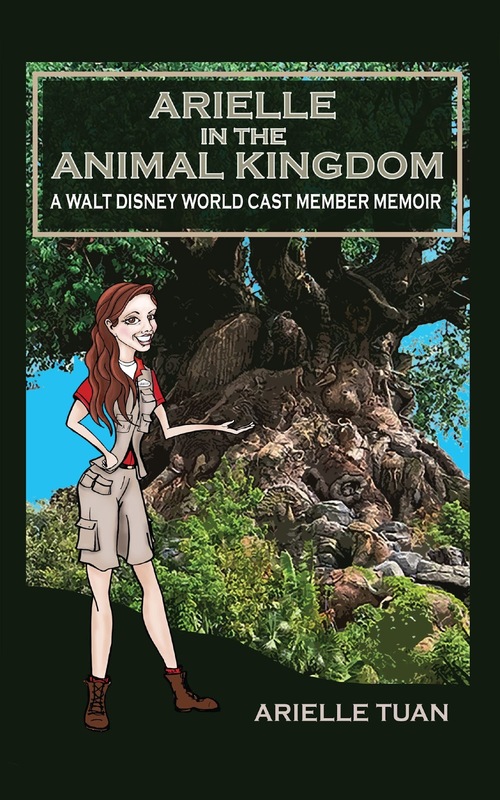 For shy, introverted Arielle, her months in the steaming "jungle" of the Animal Kingdom, surrounded by wild animals and sometimes even wilder guests and cast members, brought about a metamorphosis. 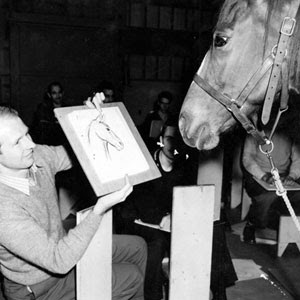 From the girl with the bug box that most guests ignored as they raced for the "thrill" rides every morning, Arielle found her groove as one of the park's Conservation Education Presenters. 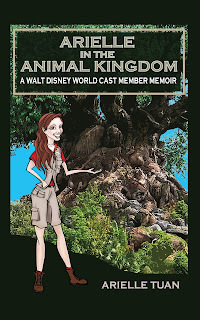 Her stories shed light on a whole other world at Disney's Animal Kingdom. YOU'LL HAVE A WILD TIME! 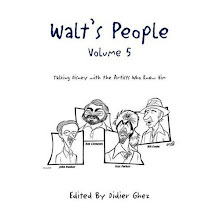 Walt's People: Volume 5 features appearances by Hugh Harman, Nadine Missakian, Ward Kimball, Erwin Verity, James Algar, Winston Hibler, Bill Anderson, Bill Walsh, George Bruns, Buddy Baker, Fess Parker, Walt Stanchfield, Marc Davis, Alice Davis, T. Hee, Maurice Noble, Al Dempster, Walt Peregoy, Floyd Norman, Bill Evans, Jack Bradbury, Lynn Karp, Dave Michener, Vance Gerry, John Musker, and Ron Clements. 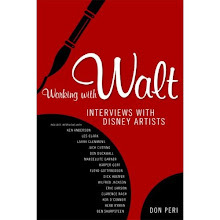 - BILL WALSH takes stock of his long career with Disney, starting as a writer for the Mickey Mouse comic strip in 1943 and concluding as a producer for some of Disney's biggest films in the 1960s and early 1970s. 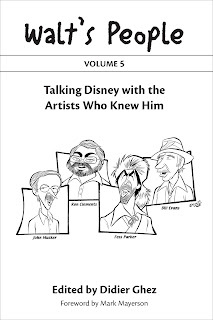 - FESS PARKER draws a bead on his complex relationship with Walt Disney, who was responsible for Parker's fame as Davy Crockett, but also for clipping Parker's career by not letting him take plum roles in non-Disney films. 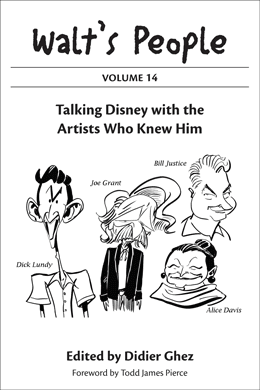 - ALICE DAVIS recounts her romance with much older Disney artist Marc Davis, her fearless attitude toward Walt, and her work for Disney as a costume designer. 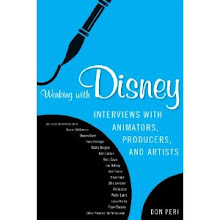 - JOHN MUSKER & RON CLEMENTS engage in a lively dialogue about their start at the Disney studio during a dark time, and how their success with films like The Little Mermaid and Aladdin ushered in a new golden age of Disney animation. 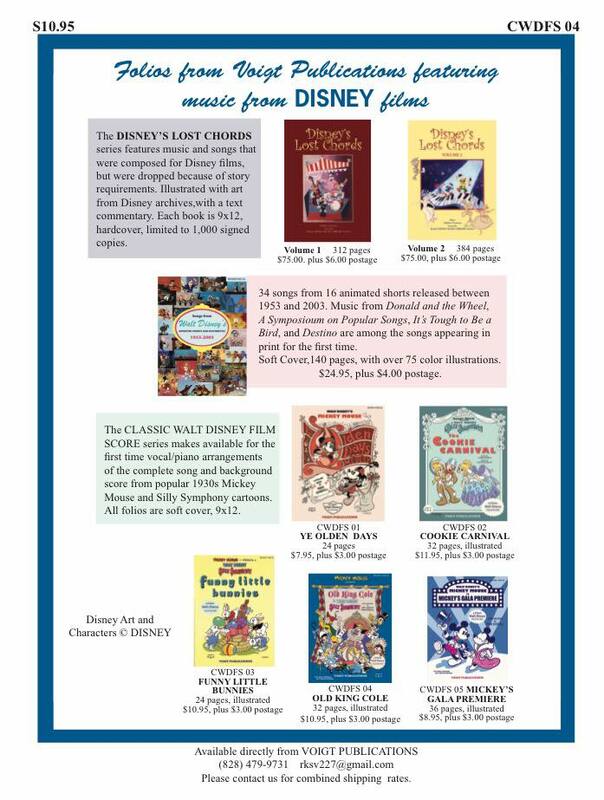 More great sheet music being released by Voigt Publications! 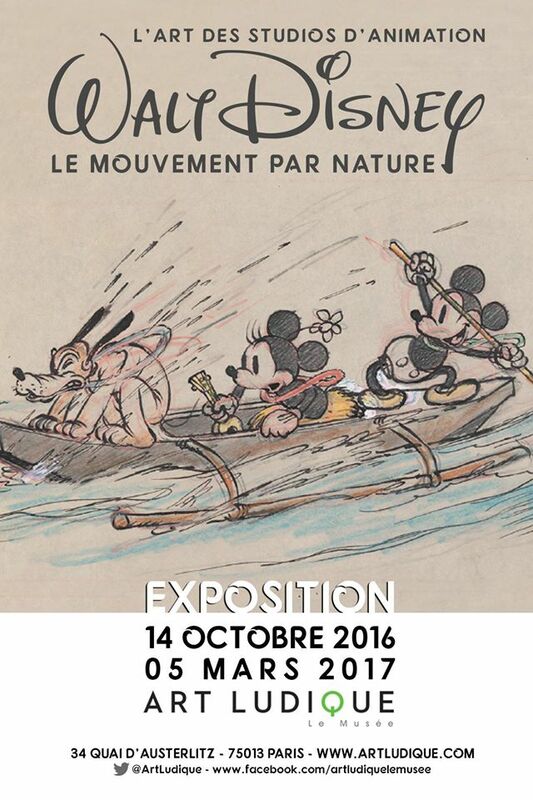 I just received yesterday the catalog of the Disney - Art of Storytelling exhibition which is currenty being displayed at The Nordic Watercolor Museum in Skärhamn, Sweden from March 20 to September 4, 2016. 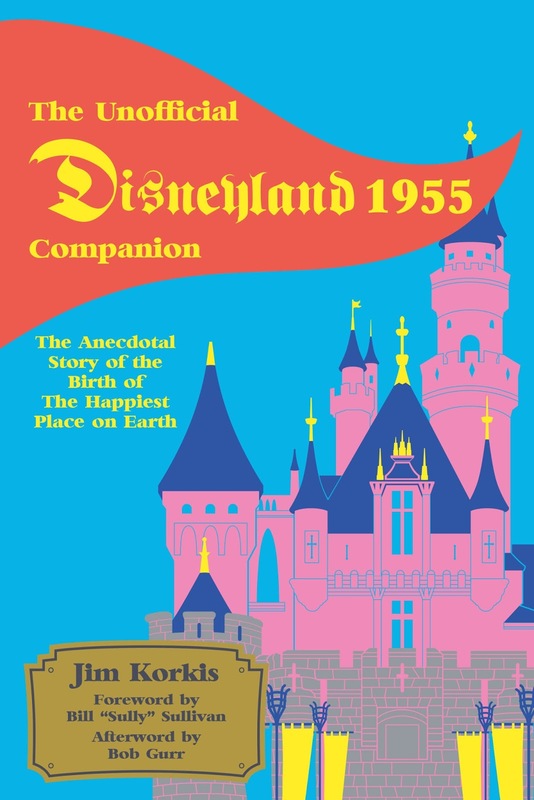 This huge catalog, written by Tracey Miller-Zarneke and released in a bilingual version (Swedish / English) is a pure beauty and contains quite a lot of artwork that I had never seen before, with my favorite pieces being the concept drawings created for The Pied Piper of Hamelin, Pecos Bill and Robin Hood. 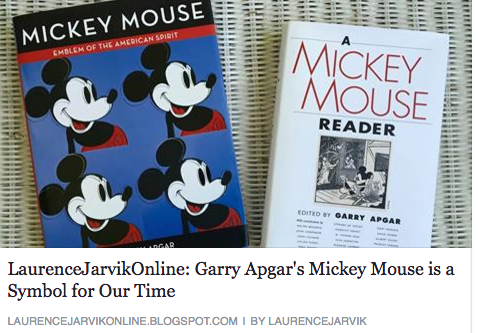 Sheer delight, but unfortunately extremely difficult to get a hold of except if you know someone in Skärhamn, Sweden. 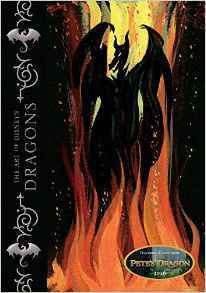 I just received a copy of The Art of Disney's Dragons and loved that book. 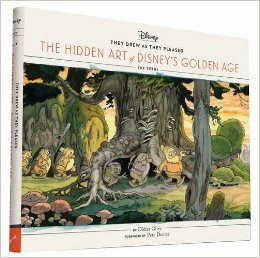 While it contains practically no text, there is enough artwork in it that I had never seen before for me to consider it a "must have". 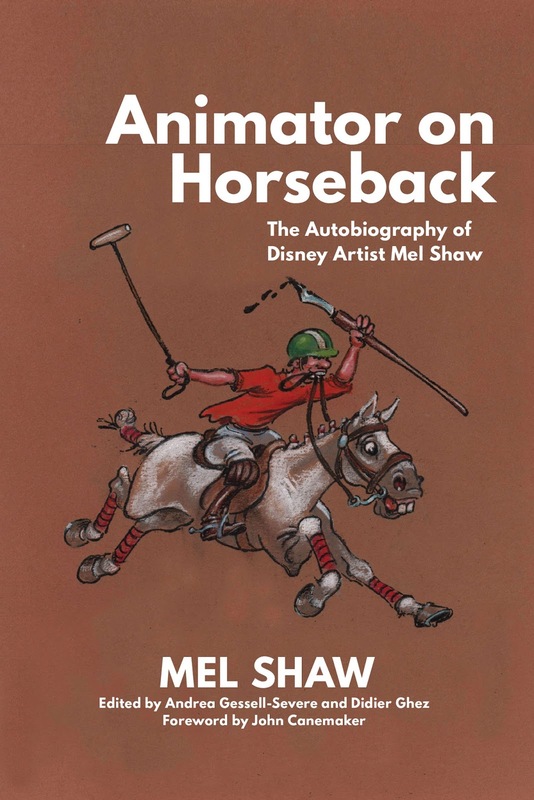 It is a small book and about half of it is animation-related and the other half park-related. 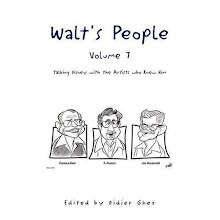 This is not a history book, but it remains nonetheless a very, very enjoyable "un-pretentious" product. While researching the career of Retta Scott for They Drew As They Pleased - The Hidden Art of Disney's Musical Years, I stumbled upon a little unknown jewel, the story of "B-1st", a never-released book that Retta had created on her own time with the help of Woolie Reitherman. 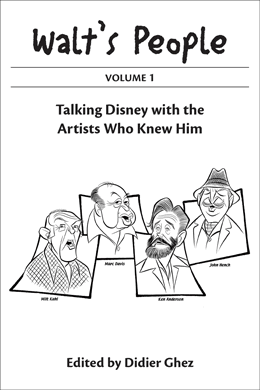 I knew the book had to be published and this is now the case thanks to Theme Parke Press, complete with a foreword by the director of Planes, Klay Hall! 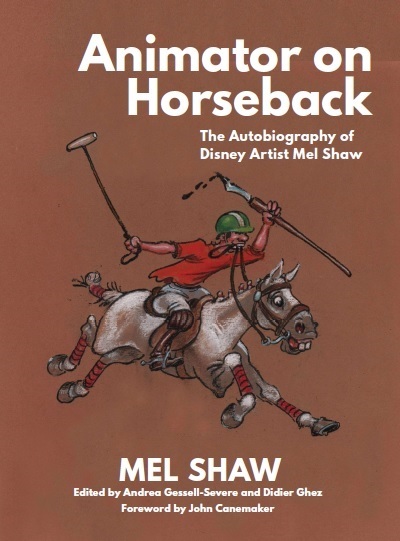 It took 11 years of efforts: Animator on Horseback, Mel Shaw's long-awaited autobiography, has finally been released, complete with all the illustrations that Mel created for the book. 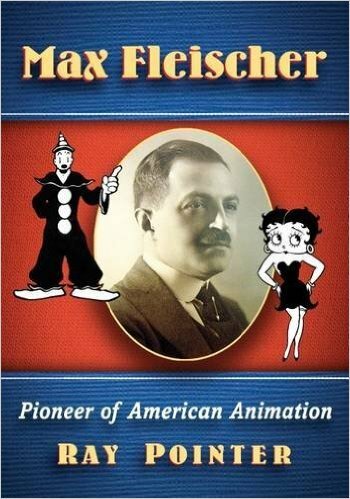 If you are reading this, this book is without the shadow of a doubt a "must-have." 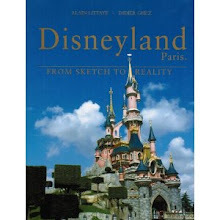 This just in from Sebastien Durand for those of you who live in France. 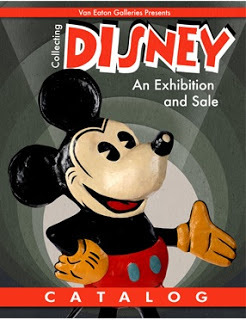 Quick reminder about the spectacular auction from Van Eaton Galleries coming up this weekend! I was stuck in Buenos Aires over the weekend due to some air controllers' strike in Argentina, but I am now back in Miami. 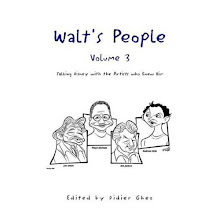 The upside was that I was able to work on They Drew As They Pleased - Volume 3 and on Walt's People - Volume 18. The first one of those books will be released in September 2017, the second much earlier: by the end of July 2016. Animator on Horseback, the autobiography of Mel Shaw (after 11 years of efforts to make this happen) and B-1st, a beautiful children's book written and designed by Woolie Reitherman and Retta Scott at the start of World War I, which will be published for the first time 75 years later! I just received The Art of Finding Dory. 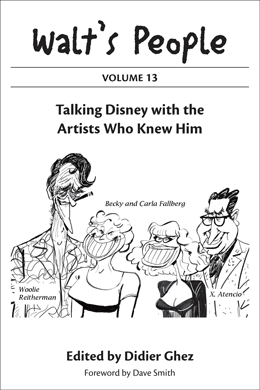 I always enjoy those volumes from Chronicle Books, but this particular book did not strike a chord for your reason. 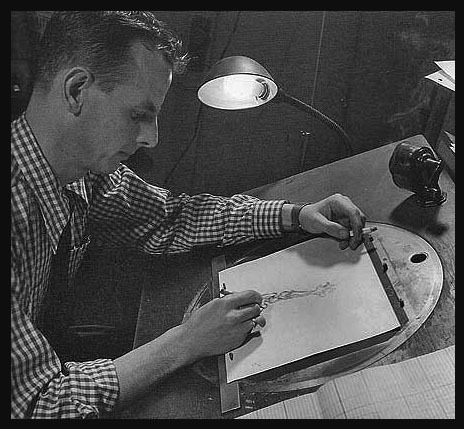 My guess is that I find those art books particularly interesting when they focus on character designs more than on layouts or backgrounds. 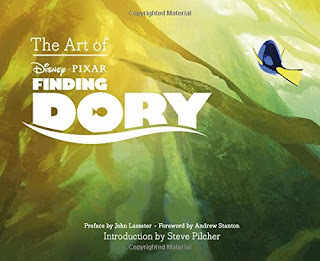 And the sequel to Finding Nemo does not seem to include many new characters, which probably explains my disappointment. 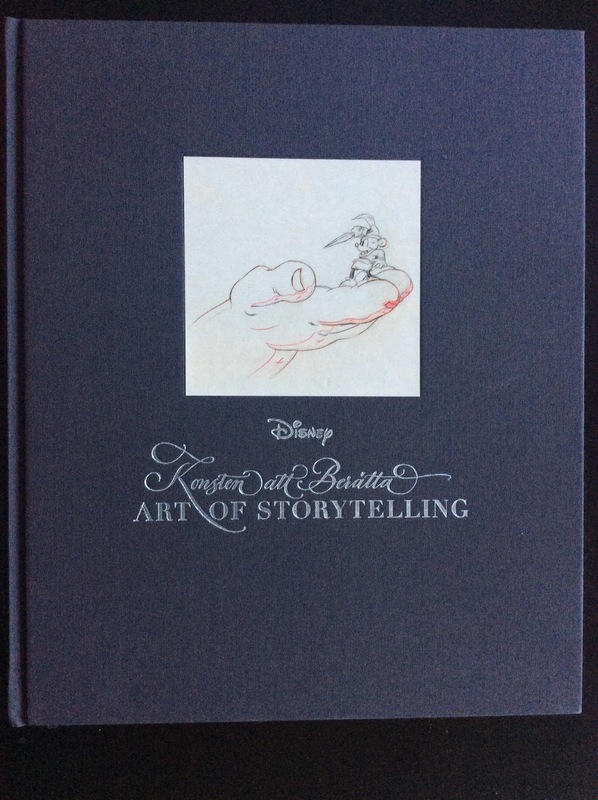 I have a feeling that I will enjoy The Art of Moana a lot more when it is released. 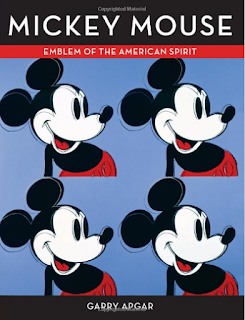 [My new book, Mickey Mouse: Emblem of theAmerican Spirit, published by the Walt Disney Family Foundation Press, was reviewed in the June 3rd issue of the Times Literary Supplement. 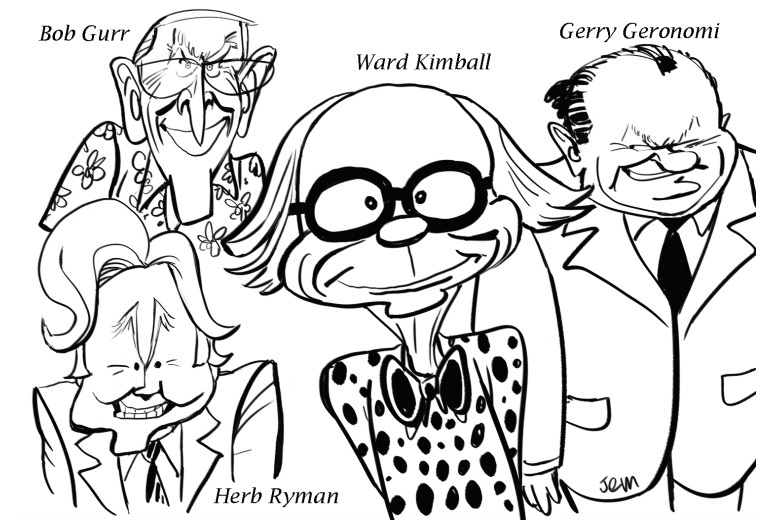 The TLS is England’s, and America’s, oldest publication of its kind, and perhaps the classiest! 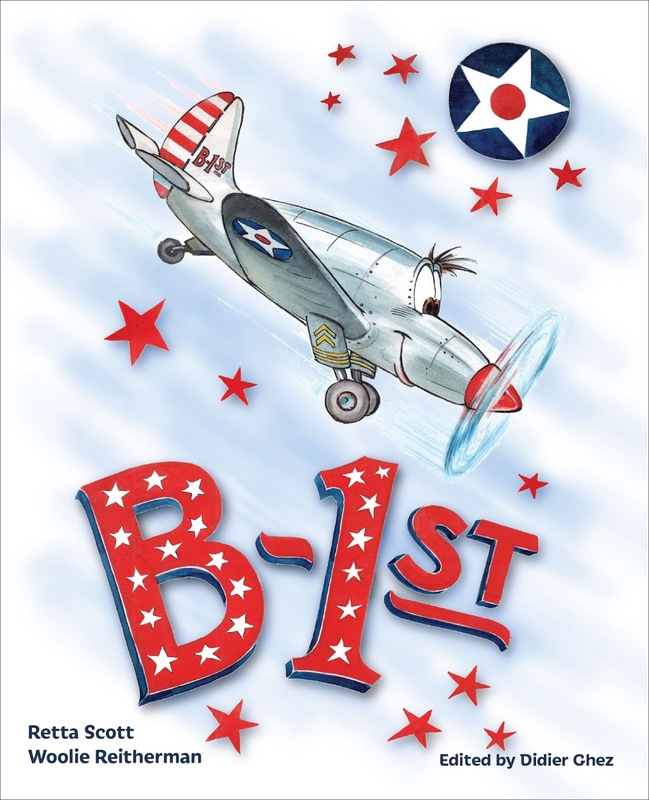 “If optimism is the defining American virtue — and it had better be, you sometimes can’t help feeling — then this book’s central proposition, that the essence of the nation is more fully embodied in one animated rodent than all the flag-hoisters and touch-downers of nearly 250 swaggering years, makes perfect sense. It is hard to avoid a certain feeling of manifest destiny when you are reminded of just how popular Mickey Mouse along with his on-off consort Minnie and all their kith and kin were during the years flanking the Second World War. 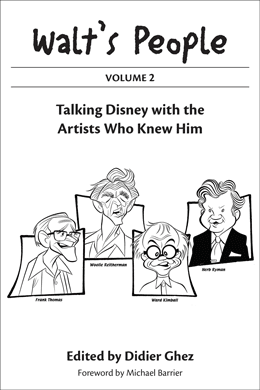 Further along into the review, the critic said: “You wouldn’t expect a book published by the Walt Disney Family Foundation to be overly critical of the maestro … But it is thorough and fine-grained, and fair on the events of Disney’s career.” I’ll take that as a compliment, both for me and the WDFF Press! 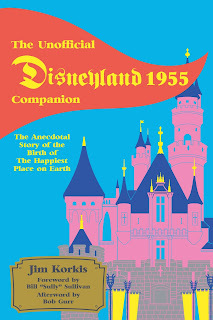 Not a Disney book, of course, but an upcoming book I can't wait to pick up! 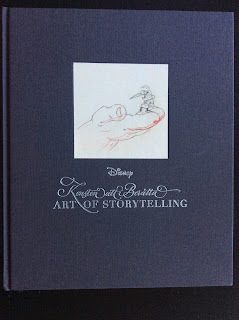 [For those interested, New England Review just published my narrative essay on Ward Kimball and the making of Snow White. It's written in the same research-oriented narrative style as Three Years in Wonderland. But fair warning, it is the only Disney-related essay in the journal. 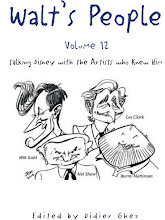 You can find it at "most" Barnes and Nobles in the periodical section for $12. 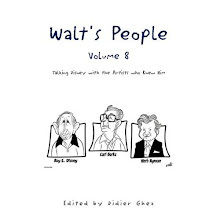 You can also order one directly for $8 (including shipping). 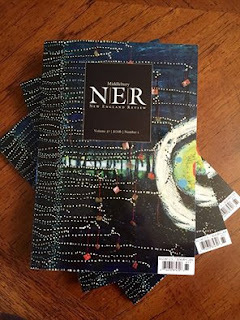 The online form will automatically load with "subscription," but use the pull down menu to select "current issue - $8." It's issue 37:1. The essay runs 14 pages. 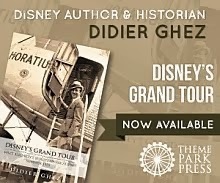 - FROM HORIZONS TO SPACE MOUNTAIN is the autobiography of Imagineer George McGinnis (Bob Gurr wrote the foreword). 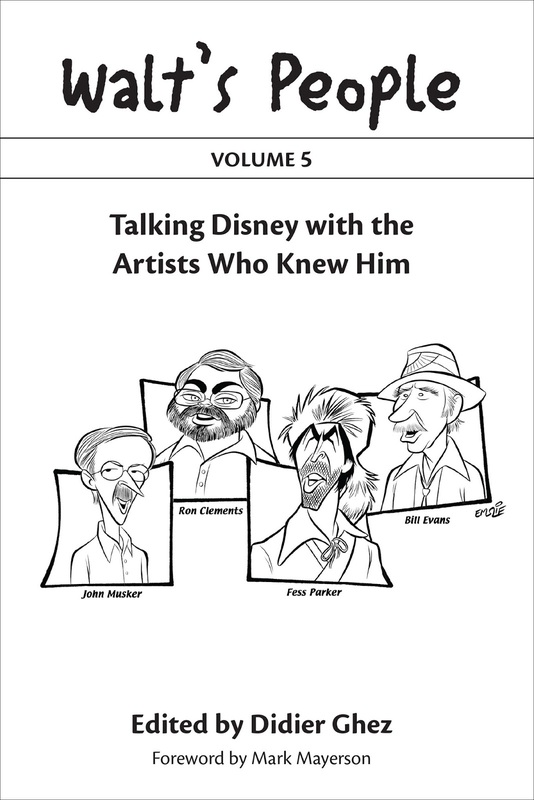 - THE DISNEY APPRENTICE is the (partial) autobiography of another Imagineer, though more of an Imagineering executive, Chuck Shields (Bob Gurr wrote the foreword, X. Atencio provided the cover art). - MAGICIAN OF THE MOVIES is the re-release of his biography of Walt Disney, from 1966 (and meant for children).